Akhil From Hounslow: Three Points Is What We Want And Three Points Is What We Got! One thing i did forget to mention was the oustanding effort by everyone to raise money for CentrePoint. The people collecting money were great, it was cold and was rainy yet they were still there raising money. haha thanks mate. Being positive just in my nature. 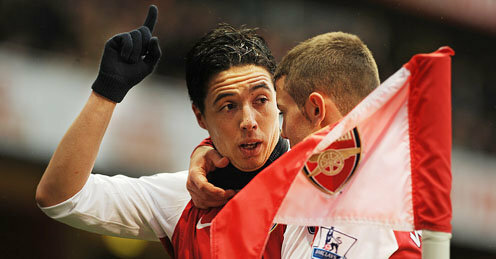 Sammy Nasri was amazing. Again. haha Dilshan, apart from when im working, its all by chance! thanks for comments. Yeah, TV5 would make a huge difference, i hope your right, AA23 and Sammy will have to have big games if we are to win, certainly if Cesc doesnt make it. Taxi_rock, thank you for commenting, yup Nasri is king!